We are proud to say that Birds & Beans Bird Friendly® Coffee Clubs are forming all over the country: North Carolina to San Francisco, from Vermont to Houston. 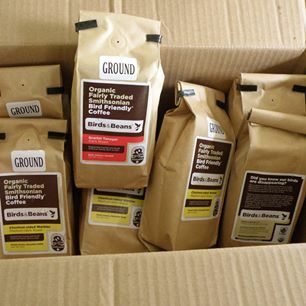 Creating these collectives is a great way to support Smithsonian certified shade grown Bird Friendly® Coffee. And it reduces shipping costs for its members. We call our Coffee Club leaders ‘Birds & Beans Coffee All Stars’ and they are a very important part of our mission to make it easy for everyone in the USA to drink Bird Friendly® Coffee and support sustainability. So is today the day that you reach out to your friends and colleagues to start an informal Coffee Club in your area and become a Birds & Beans Coffee All Star? We think it should be!